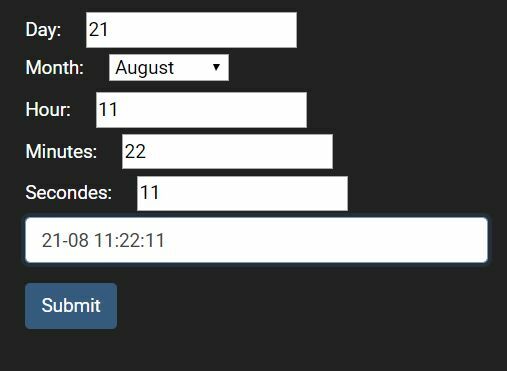 A simple, lightweight yet fully customizable jQuery date picker plugin that supports custom triggers, date range, date format, i18n and much more. 1. 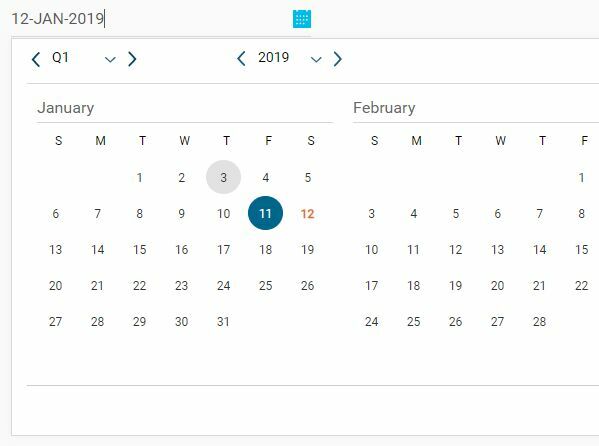 Include jQuery library and the jQuery datepicker plugin's JS and CSS in your web page. 2. 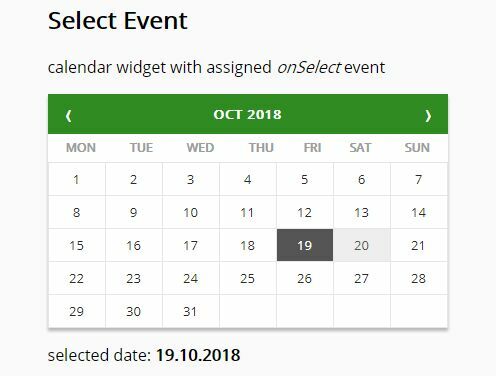 Create an input filed with 'datepicker' attribute to create a nice clean date picker appending to the input when getting focused. 3. 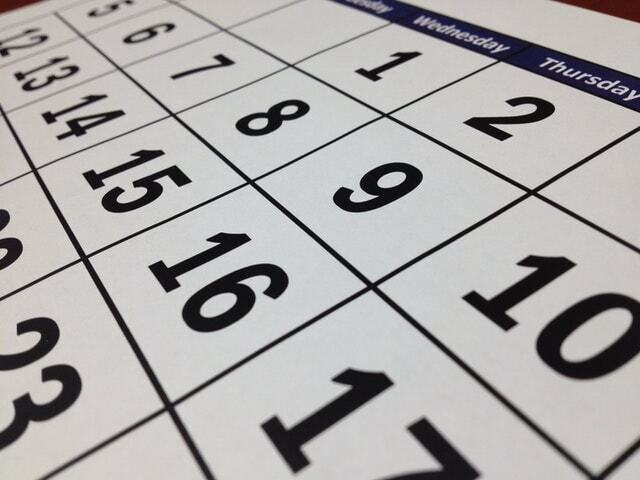 You can also attach the datepicker to any element such as DIV, Textarea, etc. 4. 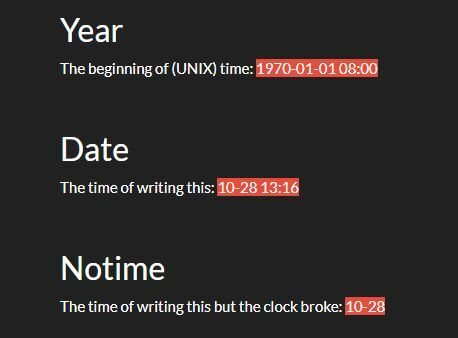 Initialize the date picker and done. // A string suffix to the year number. // Days' name of the week. // short: uses short name? // min: uses the shortest name? Fix wrong parameter for the $.contains function. Emulate click in touch devices to support hiding the picker automatically. 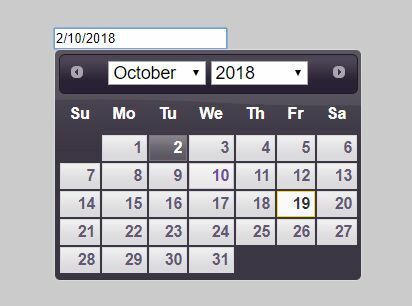 Fix wrong future month selection when today is 31. Fix the issue of years and months view rendering problem. Add a second parameter to the filter function option. Enhance the setStartDate and setEndDate methods, supports null as argument. Change NPM package name scope from @fengyuanchen to @chenfengyuan. Remove added data when destroy. Support to load in node environment. Add 3 new languages for i18n. 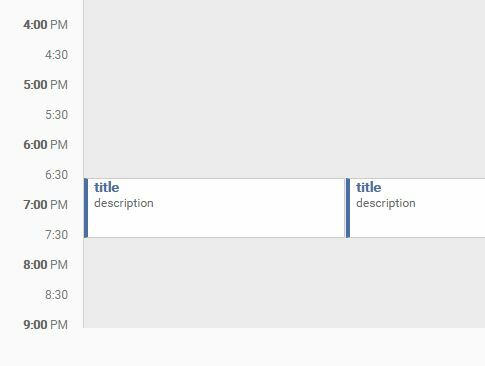 Add example for using datepicker in modal. 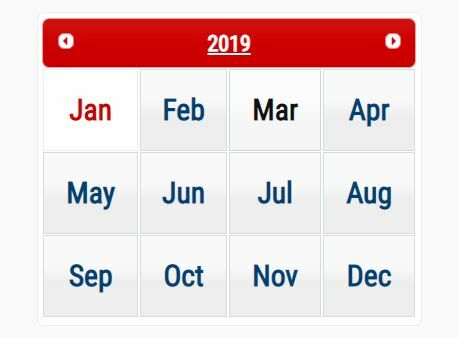 Update view year when the month over the current year. Fix color function error in the CSS. Highlight the current year and month. Highlight the picked year and month. Fixed year and month picking issue. Hide the picker when the target input element is blurred. Hide the picker when click the trigger element again. 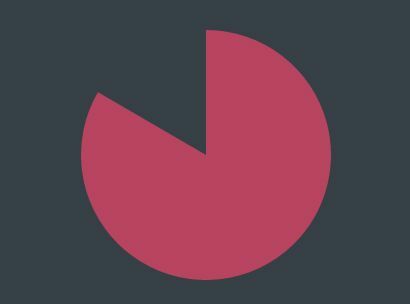 Fixed some issues in inline mode. Rename autoshow option to autoShow. Rename autohide option to autoHide. Rename autopick option to autoPick. Improved the priority of language options. This awesome jQuery plugin is developed by fengyuanchen. For more Advanced Usages, please check the demo page or visit the official website.